Happy Saturday, friends! 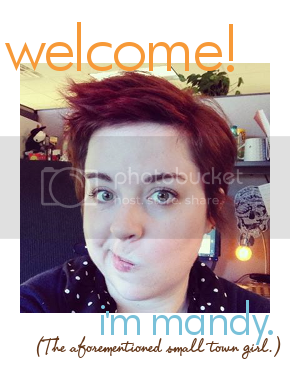 And welcome to the Punk Projects Star Trek Blog Hop. 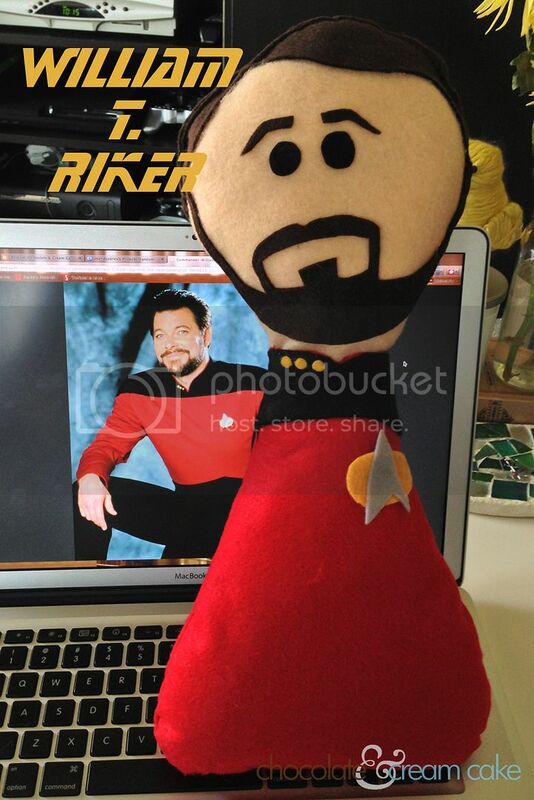 My submission for the hop is ... a William T. Riker Fandom Plush! Two sheets each of red, brown and flesh-tone felt. Scraps of black, yellow and grey felt. A sewing machine or hand-sewing skills. 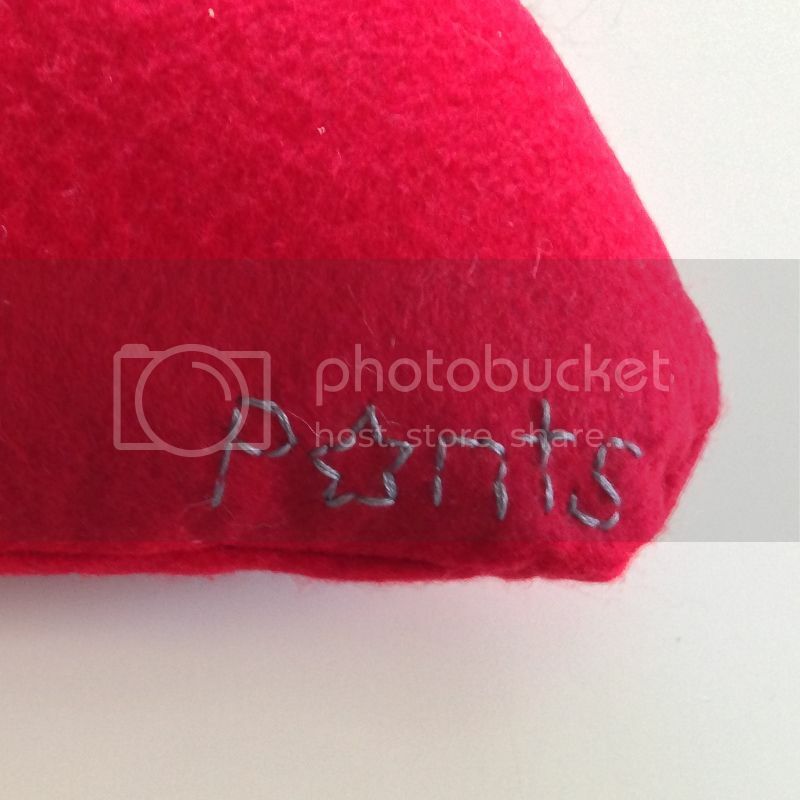 Optional: A tiny safety pin, embroidery thread. 1 | Plan your doll. Apologies—I forgot to take a better photo of this before I started cutting. 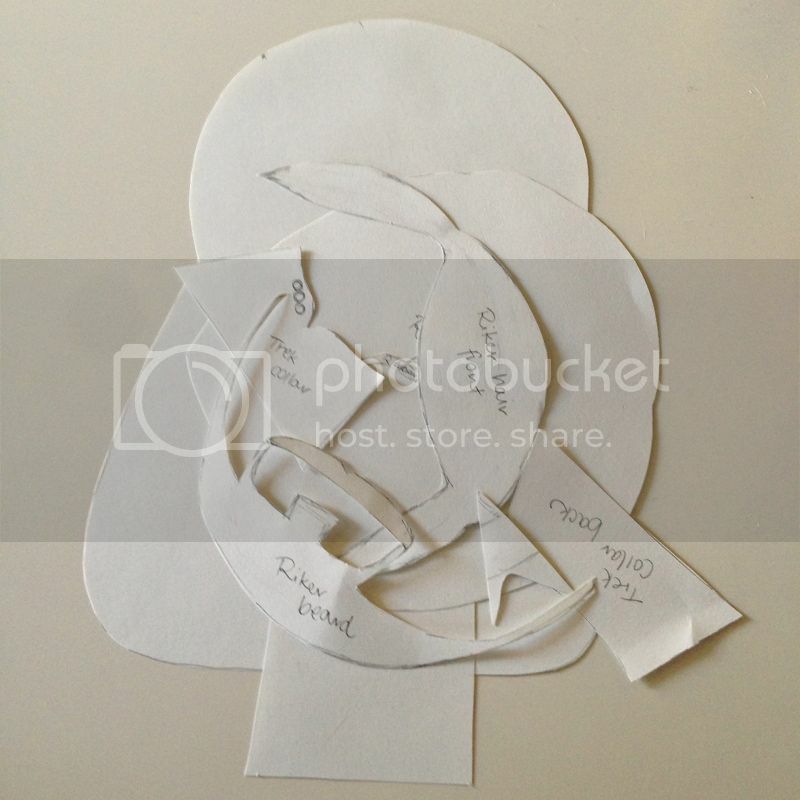 2 | Cut your pattern pieces. 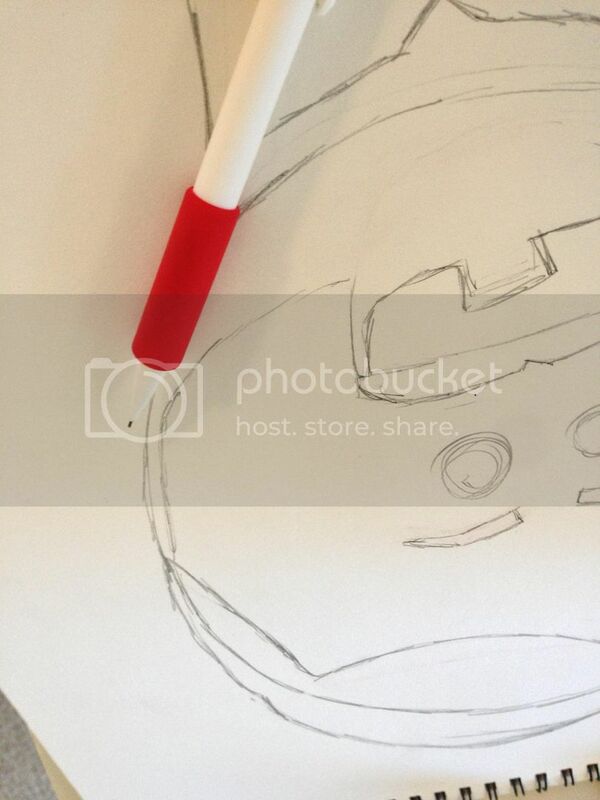 You'll need a head (front and back), a body (front and back), a collar (front and back), a beard, hair (front and back), eyes, eyebrows, a comm badge and three pips. 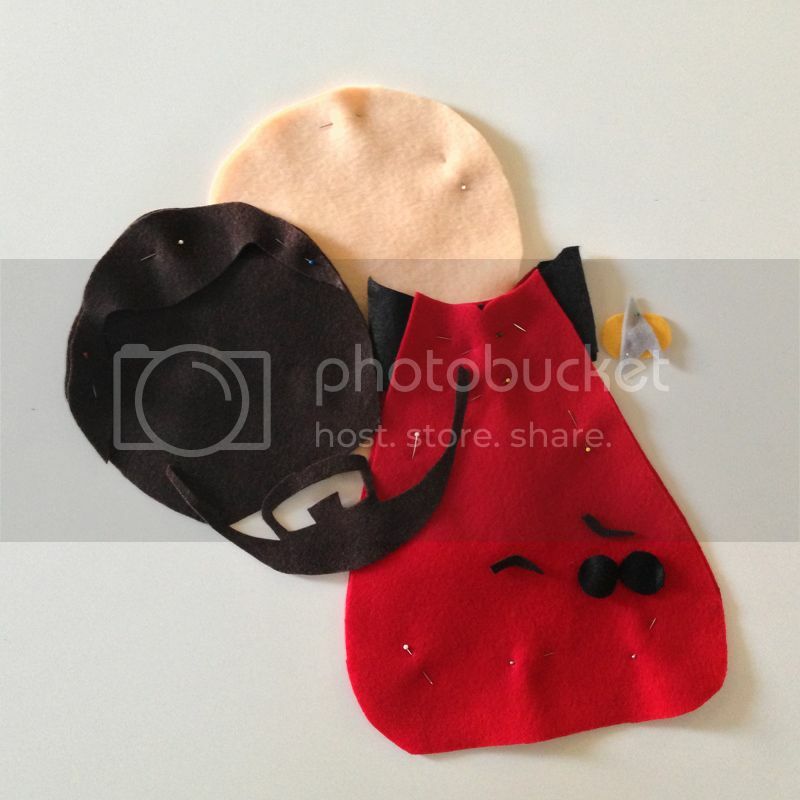 3 | Pin your pattern pieces to the felt. 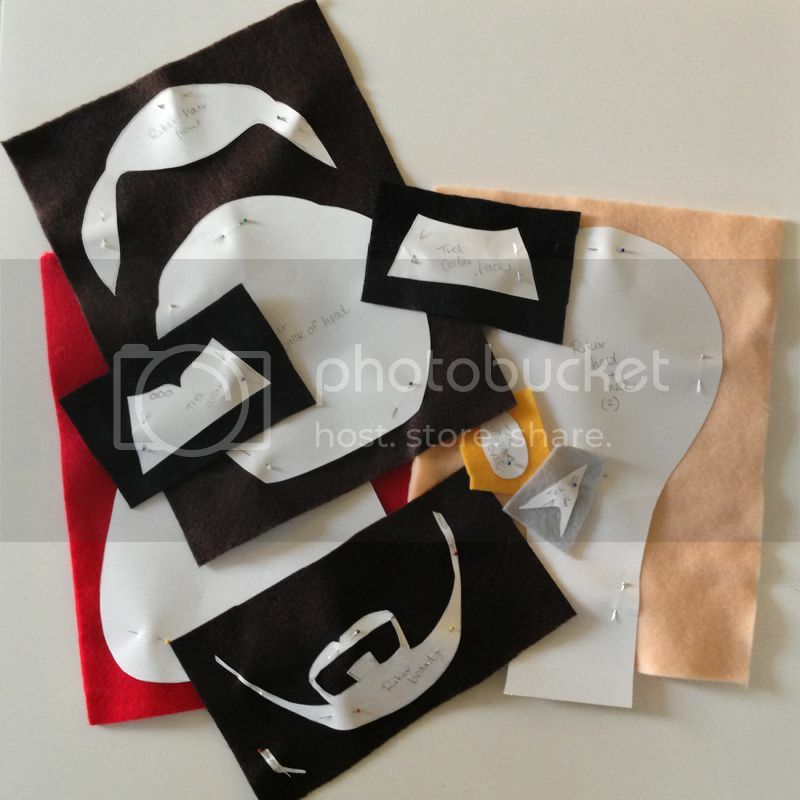 4 | Cut out your pieces, leaving seam allowance on the body, collar and head. 5 | Sew the head pieces, leaving the bottom of the neck open. 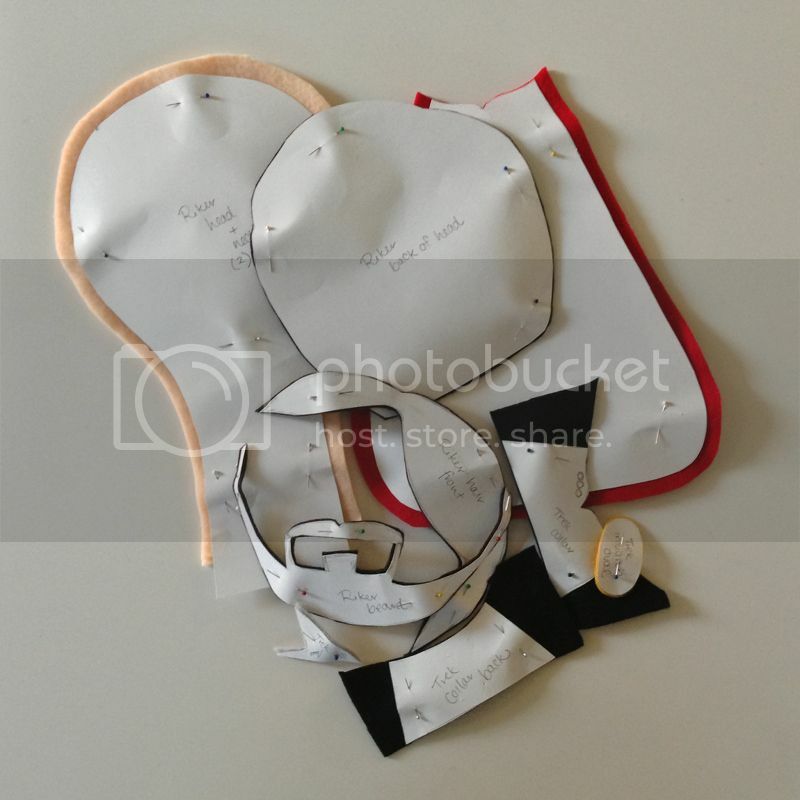 Pin the collar pieces to the body and then sew the body together, leaving the top open. Sew the top of the hair. Turn the head and body right-side out. Ready your additional pieces for gluing or sewing. 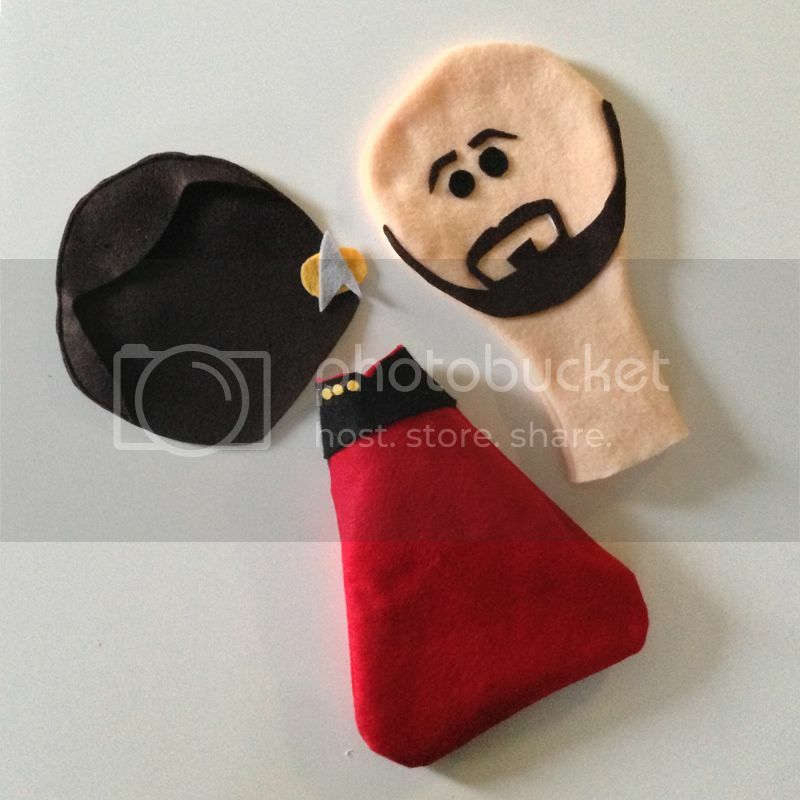 6 | Glue or sew the pips to the body and the beard, and the eyes and eyebrows to the face. Glue or sew the two parts of the comm badge together. Stuff the head and body and shove the neck into the body. Pin the neck of the body to the neck of the head and the hair to the top of the head. Make adjustments as necessary until everything fits together. Glue or sew down the edges of the hair and collar. Glue or safety pin the comm badge to the chest. Let dry (if you glued). 7 | Remove all pins. Et voila! 8 | Optional: Sign your work. I think he turned out pretty dang adorable, yes? I hope you'll take some time to visit the other blogs participating in the hop, too—I'm not sure what everyone's making, but their projects are bound to be a whole lot of fun. Taylor of This Memorable Life. Megan of The Nerd Nest. Regena of The Distracted Domestic. Emily of Oh! Emily Made That. 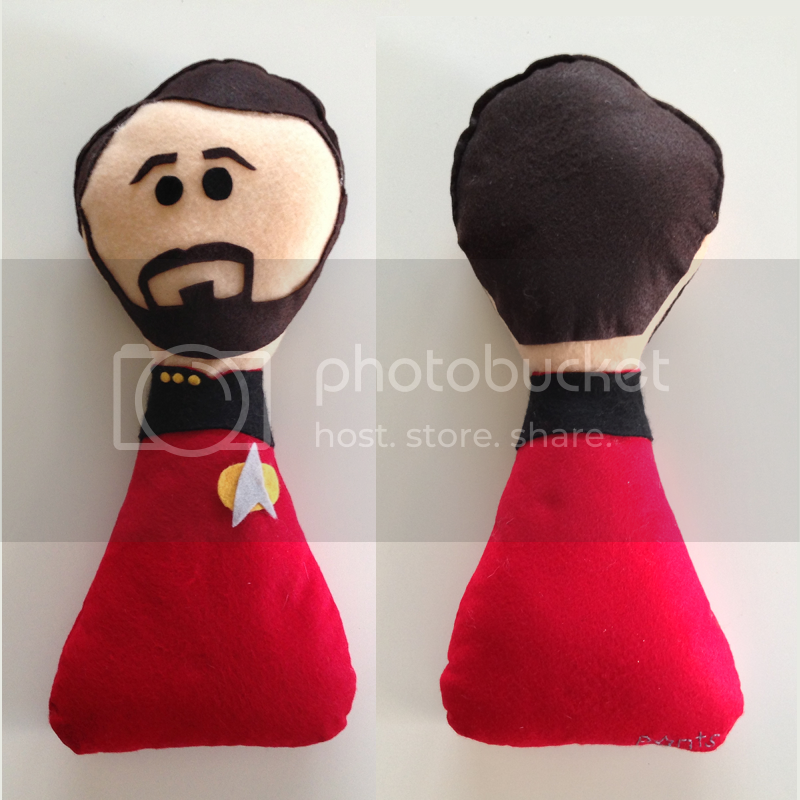 PLUS: Katie's holding a giveaway of a bunch of Star Trek Hop items on her blog—including my Riker! Head on over to enter. Rikering might be a little bit hard without legs, haha. but if anyone could do it, I bet Riker could. Neat! 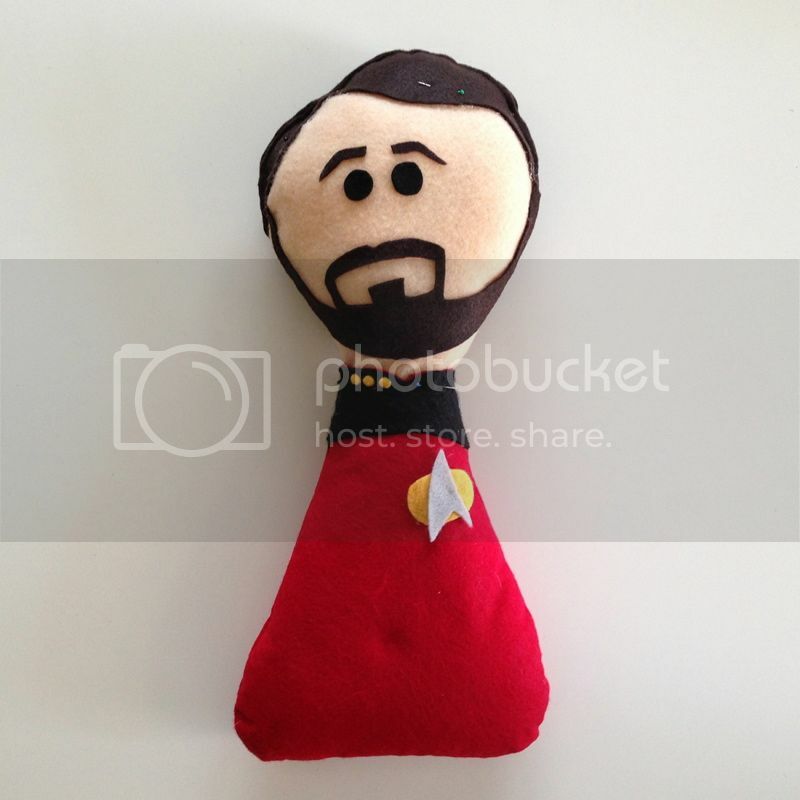 I've always wanted to try to make my own plushies, and I might have to give this a spin. You got the face juuuust right. Thank you, and that would be awesome! I bet they'd be adorable!